Marty Chavez was cleaning toilets at a Monastery when God told him to go and work at Goldman Sachs. Since then, Marty worked his way up to become CIO of the world’s most revered investment bank. What’s amazing to me is that a third of Goldman’s global headcount are software engineers. That’s 11,000 people. That’s more than the total number of employees at Facebook: including non-tech staff. Watch this video for a fascinating insight into how Goldman intend to effectively turn the bank into a software company. Goldman have invested in more than 60 startups since 2008. With a typical equity stake of 10%. Many are of course in #fintech but their portfolio includes Spotify and Uber. 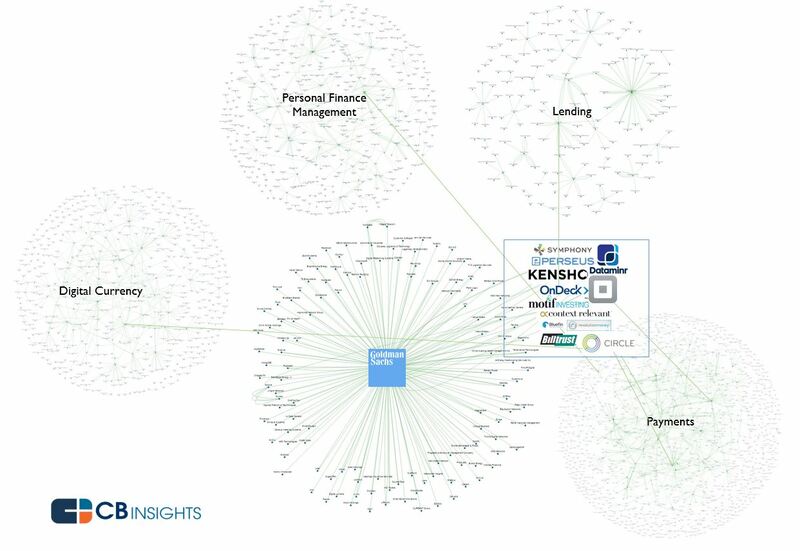 Here’s a sense (courtesy of CBInsights) of Goldman’s fintech investments and themes. Earlier this year they announced a move into consumer lending to compete with Lending Club et al. This is a two-way street of course with several prominent staffers quitting to join or start their own startups. Open-up access to the outside world. I loved the analogy of a search company that would for a hefty fee, take your keywords, enter them into a closed system, and send you back the results. He likened this to how Wall Street works today. Instead, he sees a future where Goldman becomes a software platform offering open API and other software services. What’s more, Marty talks about leveraging startups that offer complementary services that plug-in to the Goldman platform. Smart. As Marty says, software alone is worthless without world-class sales and distribution. Reengineering internal processes for maximum efficiency is merely table stakes in a 21st ‘fintech’ century. Hence all the banks being all over blockchain for the efficiencies it promises. Could Goldman have figured out that the key to survival for legacy banks is to collaborate with new fintech players to find truly innovative ways to better serve the end-customer? 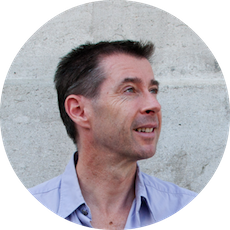 Ben Breen has been building software, teams, products & companies since 1979 including 20 years in banking & capital markets. Since leaving JP Morgan in 2001 he's founded several companies. In 2010 Ben discovered the transcendent powers of marketing. He founded Engorah to help fintech firms find their first customers, scale growth & get a better deal with investors. What Can Fintech Startups Learn From the Insanity of Bank Marketing? Enter your email for more insights on achieving traction, securing funding & attaining sustainable growth for your #fintech startup.